The NAHMA Affordable 100 comprises the largest affordable multifamily property management companies, ranked by affordable unit counts. The NAHMA Affordable 100 list contributes vital data to the ongoing national dialogue on the future of federal funding for affordable housing. We're proud to be a growing part of the affordable housing industry! 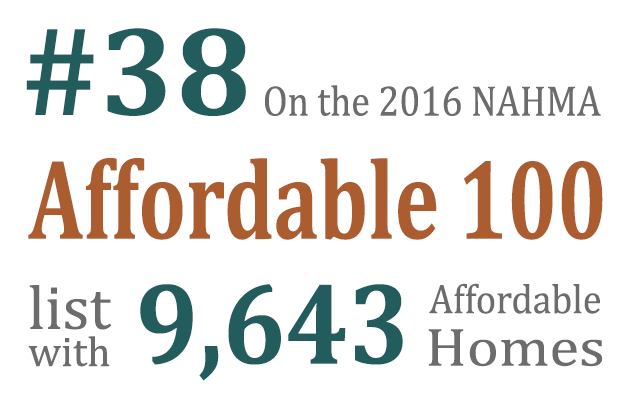 Click here to see the complete NAHMA Affordable 100 list.